Our first day on the Gibb and we were excited! We again took another cheesy tourist photo to prove we had started the famous Gibb River Road! The Gibb is asphalt until the turn off to El Questro, winning! The trek to our private campsite (Quail which we totally recommend if you can go without power), was terribly corrugated and we had three water crossings to tackle but we survived and found our campsite by the Pentecost River. Our private campsite was very spacious and the last one you can actually swim in. Apparently it is one of the most popular private campsites and can be booked out months in advance! Another hot Kimberley day saw us spend much of the afternoon swimming in the river before heading up a 4wd track called Saddleback Ridge for sunset. What a drive, a very steep rocky hill and we only had to share the magnificent view with two other people. As we got back that afternoon quite late we drove the 4wd track to Explosion Gorge. We crossed the Chamberlain River and while not deep this crossing took almost 10 minutes as it’s made up of large river rocks and you have to crawl over them the entire way. You also get glimpses of the uber expensive Homestead (that's where Nicole Kidman stayed when filming Australia) while crossing, Mrs tried to get me to book there before I knew how much it was! The rest of the track was nothing exciting but the gorge was pretty (and most importantly about 10 steps from the car). 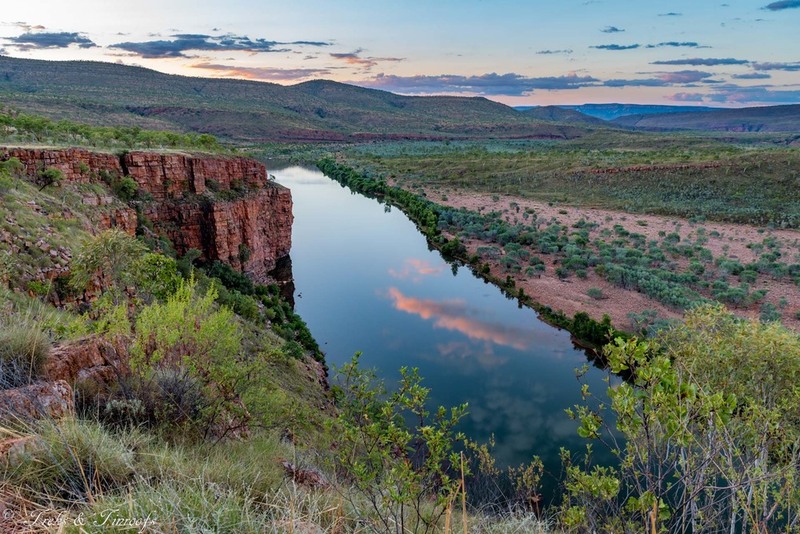 We stopped at Branko's lookout for sunset on the way back which has stunning views of the Pentecost River, the ranges and back over the station. The next morning we got up nice and early to head to Zebedee Springs. A small oasis out here, the springs are 28-32 degree water flowing down into rock pools surrounded by rain forest. We apparently hadn't woken early enough as it was so full so we had to wait until someone left. It is closed at midday for exclusive use of homestead guests and you can see why. A really amazing spot you could easily spend every day here. We then headed to Emma Gorge, part of the Cockburn Ranges and a must see if visiting El Questro. It is recommended to walk this in the morning and alot of the walk is exposed and you can see why you should do it early. Everyone we passed coming out said, don't worry its worth it; and we were like "better be"... but once you arrive your expectiations are exceeded. A very hot 1 hour walk from the car park saw us arrive at a stunning cold pool still with a running waterfall (though only trickling). For a minute we even had this pool all to ourselves, it was bliss. A small thermal spring is hidden to the side and was a great spot after initially cooling off. You can see why people spend hours here, before the dreaded hour walk back. We headed back to the station for a bite to eat and decided to splurge and eat at the restaurant before jumping back in the river to cool off. During this time we had left our car with the station's mechanics to check it over. 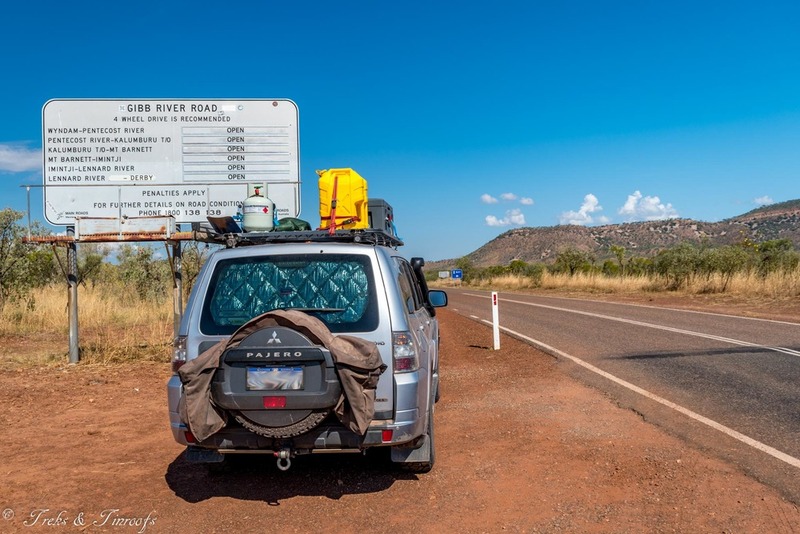 Then the news we were dreading, we had issues with the car which would see us have to rethink our plans of driving the Gibb River Road. After some mad panic and calls to our mechanic in Perth and Mitsubishi in Broome we made the decision the limp our way back to Broome via the highway and parts would be shipped up. DEVASTATED is an understatment!!! It was a hard call to cancel our Gibb River Road trek (the whole reason we did this trip) but the answer was obvious when looking at the possible consequences if we were to push on. On the plus side, we've seen some of the most beautiful places, places that have suprised is in so many ways. We've learnt a lot on this trip too and we kept saying we'd change little things about what we brought and how we camped, so we will be back again soon to tackle the Gibb! For now its a slow drive back to Broome, to relax, soak up the sun (if we haven't done enough already) and the final destination of our Kimberley trek. When people ask 'how was the gibb?' we always answer it was great! thinking to ourselves the first and only 50km we did of it was supurb, so smooth no corrigations. Least we can laugh about it now and we can because we will be back soon and thats a promise! Anyone want to join us?